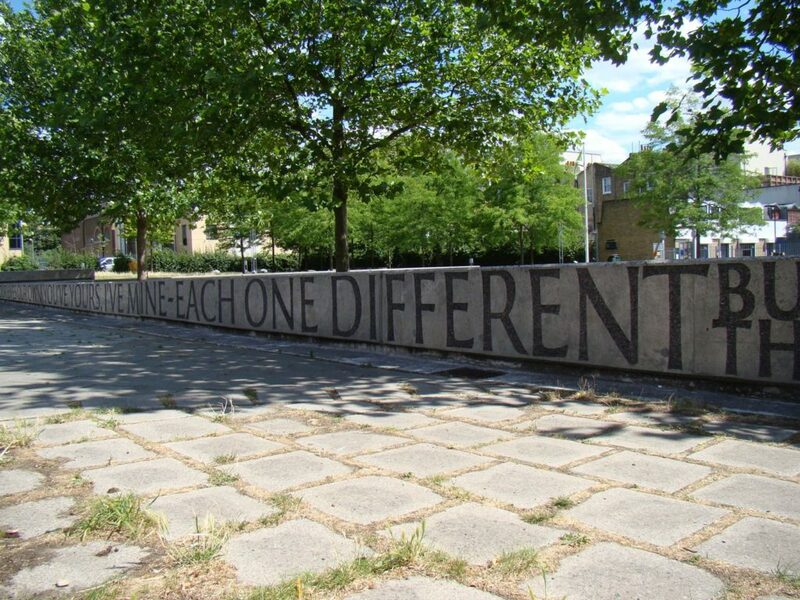 With words commissioned from Poet Laureate Andrew Motion, Gary Breeze collaborated with sculptor Anthony Fanshawe to create a concrete poem in North London’s Edward Square for landscape architects J & L Gibbons. 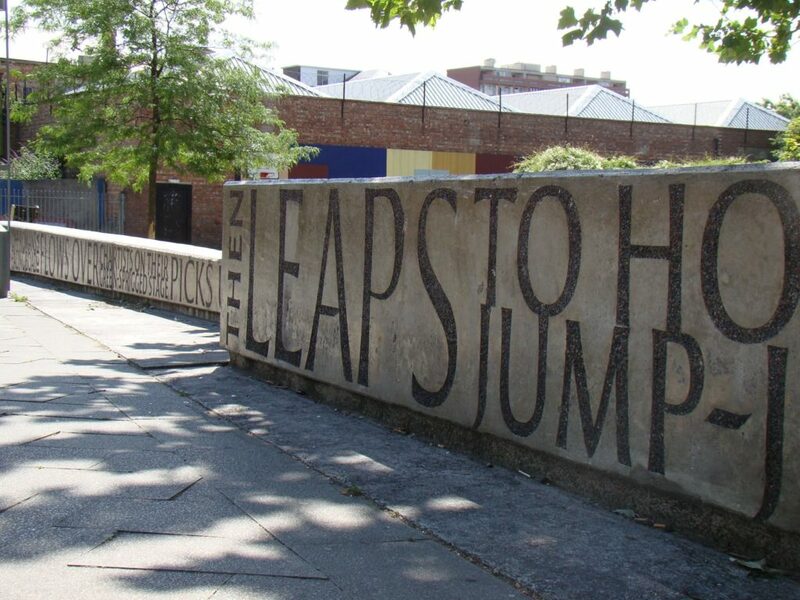 Concrete was specially cast with a matrix of black and red granite aggregate and the surface grit-blasted to reveal the darker pattern of lettering within. This ‘betograve’ process was developed by Norwegian artist Carl Nesjar and used by him in collaboration with Picasso on his large concrete sculptures. 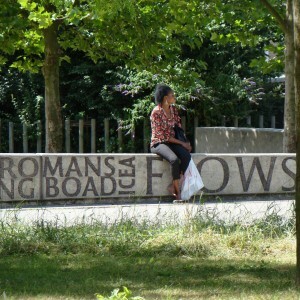 The process, rarely seen elsewhere, was employed as a cost effective alternative to casting letters.